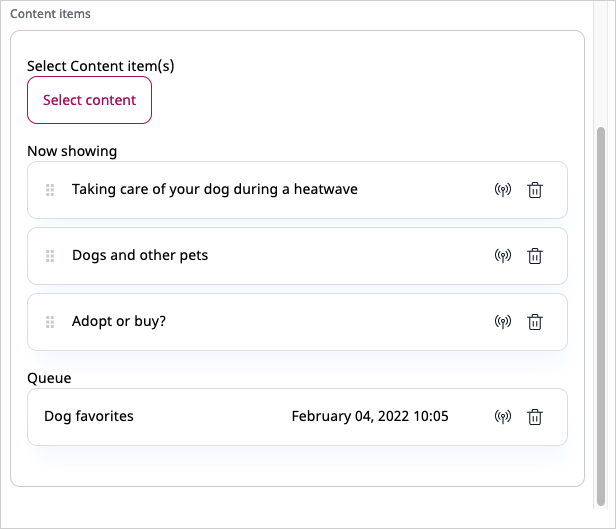 In this step you'll add a Content List block and a Content Scheduler block and customize them. At this point you can start adding blocks to the Page. You do it in the Page tab in Edit mode by dragging a block from the menu on the right to the correct zone on the page. Drag a Content List block from the menu to the left zone on the page. Click the block and fill in the form. Here you name the block and decide what it will display. 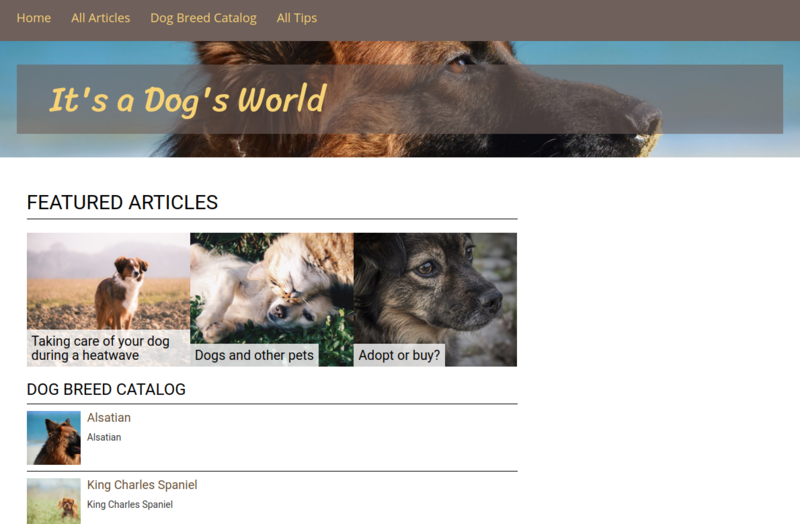 Choose the "Dog Breed Catalog" folder as the Parent, select Dog Breed as the Content Type to be displayed, and choose a limit (3). 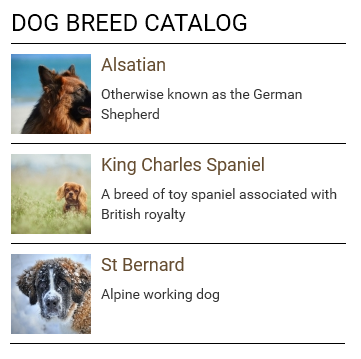 You'll display the first three Dog Breeds from the database. The next block is the Content Scheduler block that will air articles at predetermined times. At this point you can add a new Content Scheduler block to your Page and fill it with content to see how it works. If you do not see the featured block template, you may need to clear the cache (using php bin/console cache:clear) and/or reload the app. 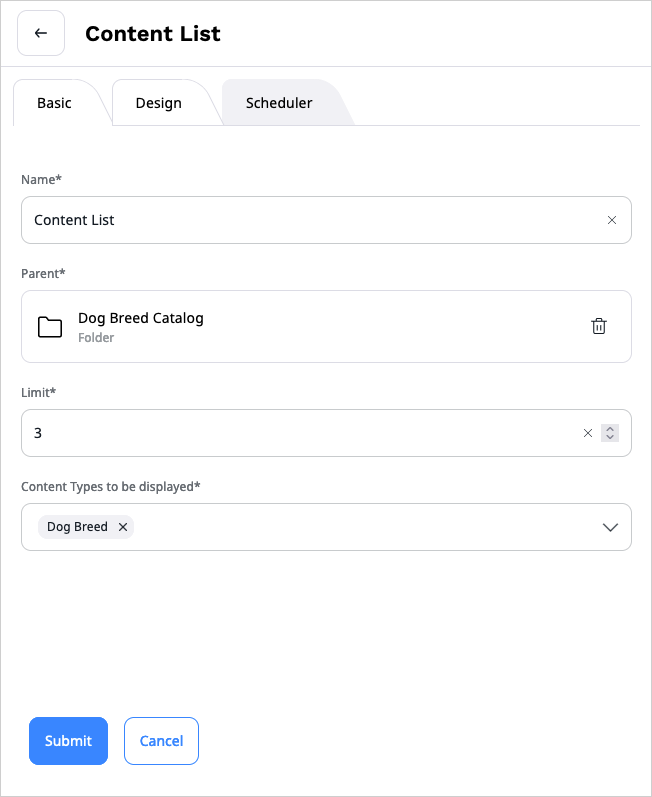 Go back to editing the Home Page and drag a Content Scheduler block from the pane on the right to the main zone in the layout, above the Content List block. Select the block and click the Block Settings icon. Set the Limit to three and click Select Content. Navigate to the "All Articles" folder and select the articles you had created and confirm. Accept the suggested airtime and click Submit. Now click the Airtime button next to one of the Articles and choose a time in the future. This article will be listed in the queue. Now open the Timeline at the top of the screen. You can move the slider to different times and preview what the Content Scheduler block will look like at different hours. Content will be shown when you move the slider to the point when it airs. At this point you have configured the Content Scheduler block to work with Articles only. If you try to add Content of any other type, you will see an error. This is because there is no featured view for content other than Articles defined at the moment.